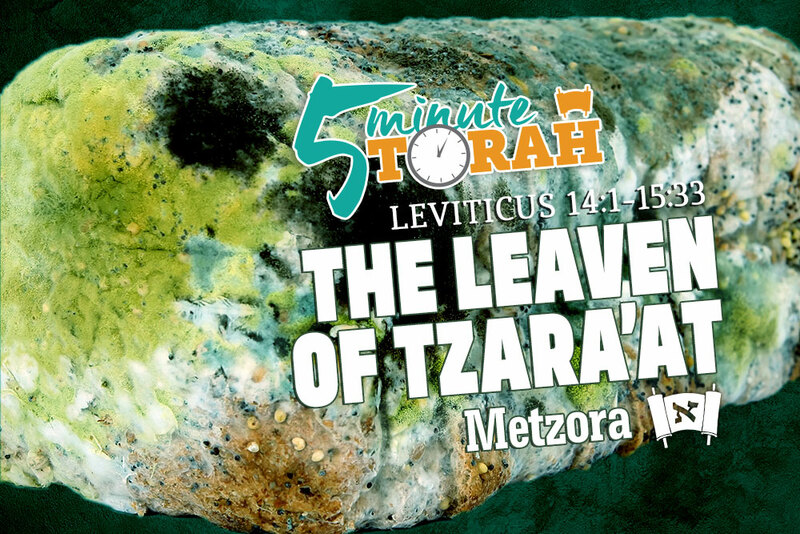 The first full chapter in Parashat Metzora is a continuation of the instructions regarding the metzora (the person who has tzara’at—biblical leprosy) from our previous portion, Parashat Tazria. In both of these readings our modern senses are immediately assaulted. Why do we read chapter after chapter of gross, or even embarrassing, details of skin diseases and bodily functions? After all, we live in a modern world where all of those type of things are handled privately and confidentially with one’s medical practitioner. Why are these detailed and meticulous laws concerning tzara’at important? They are actually a reminder of God’s great compassion. How so? The tzara’at itself does not render the person tamei (ritually unclean). One could go a lifetime displaying the symptoms of tzara’at without ever being considered a metzora. It is the only the ruling of the kohen that can render the person tamei and a metzora. The goal of this pronouncement was not destroy the person, but to protect the community and restore the person. It was a condemnation of the flesh, rather than the person himself. Both the potential metzora and the kohen had to go to great lengths to diagnose the malady which resulted in an official declaration by the kohen. It wasn’t a quick and simple procedure. It could go on for weeks, giving the kohen an opportunity to counsel the “patient” and steer him from his faulty path—as a reminder, tzara’at is believed to be associated with lashon hara (evil speech). The kohen did whatever he could to try and keep from declaring the person to be a metzora. But once a person is a metzora everyone around him is affected. The pronouncement of the kohen would effectively ostracize this person from the community, including his own family. Rabbi Menachachem Mendel Schneerson, of blessed memory, rightly observed that the pronouncement of the kohen had far greater consequences than the affliction itself. It was the kohen’s job to imitate Aaron, the brother of Moses. What was this supposed to look like? The great sage Hillel described this when he taught, “Become a disciple of Aaron—a lover of peace, a pursuer of peace, one who loves the creatures and draws them close to Torah” (Avot 1:12). The goal of the kohen was imitate the character of Aaron and draw them near to God’s instructions through his love for them. The kohen had to put himself in their shoes and be empathetic towards them when diagnosing this infirmity. The author of Hebrews speaks of Yeshua in these terms, saying, “For we do not have a high priest who is unable to empathize with our weaknesses” (Hebrews 4:15). The Apostle Paul had to deal with a situation of sexual immorality within the congregation at Corinth. When addressing the Corinthians he spoke in language that hints back to the declaration of a metzora. He told them, “Hand this man over to Satan for the destruction of the flesh, so that his spirit may be saved on the day of the Lord” (1 Corinthians 5:5). Although the words of Paul in this passage does not seem very compassionate, he emphasizes that his desire is for the destruction of the flesh and the restoration of the individual, not his complete and utter demise. This was the same concern of the kohen with the metzora. The metzora is a person who, after great lengths of attempted rehabilitation, has refused help and chosen to use his tongue for evil rather than for good. He is designated as a metzora to protect those around him and condemn his fleshly acts. Both evil speech and bad behavior have the ability to act like leaven in a batch of dough and spread throughout a community. The Apostle Paul was bold enough to declare a separation from this leaven in the community at Corinth. In the days of the Holy Temple, the leaven of tzara’at was checked through the declaration of the kohen. Do we have any protection against these spiritual infections today? The psalmist cautioned, “Keep your tongue from evil and your lips from speaking deceit. Turn away from evil and do good; seek peace and pursue it” (Psalm 34:13–14). May we heed his advice and protect our communities, our families, and even our own selves from the destruction of evil speech and deeds so that our Master may find us “holy and without blemish” (Ephesians 5:27) on the day of his appearing.